Some pretty good upsets so far this year, Tigers beating the two top teams in the first two weeks was glorious. Maybe the Knights won't get the wooden spoon this year! Manly absolutely pummeling the Eels atm. Blues to win the Origin 4-0. Damn i totally didn't even think about creating this thread this year. This is going to be a very interesting year i think, the tigers look f*****g legit so far. Melbourne have been brought down a notch which isn't a bad thing, they will still be competitive but brody croft is not cooper cronk. Everyone wrote the broncos off for friday night and for the whole season if you listen to fox sports after the game last week and they f*****g beat the cowboys and despite how close it was how close it was in the end the broncos were the better team for most of that game, they worked the cowboys big forward forward pack really well. 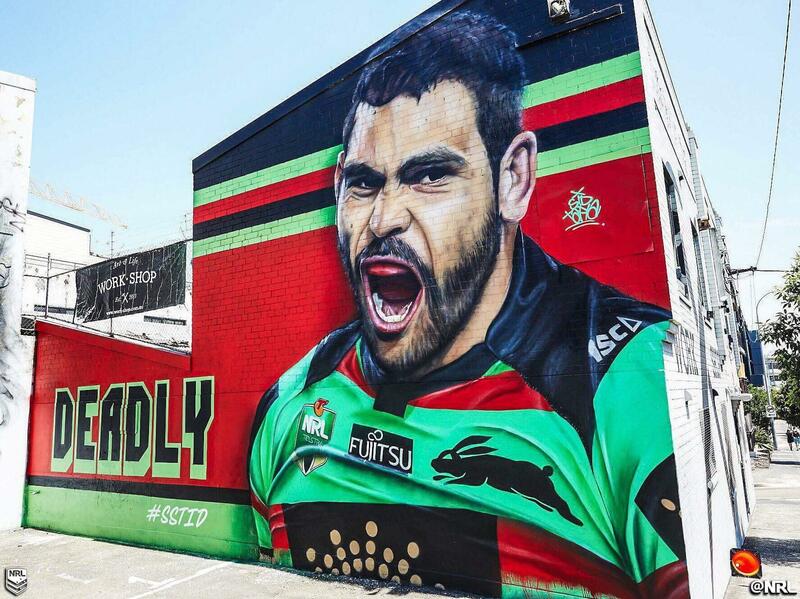 Even the warriors are looking like being alright the dragons look good too, though last year they were top of the table after 7 rounds and then didn't make the 8 lol. I am still feeling the heartbreak from game 2. In my mind the Blues had won and I was all happy and content and then... well you know what happened. Then I spent heaps on a f*****g overpriced ticket for game 3 which was just an awful experience (if the Blues won it would have been a bargain!). Knights just won which is good! Pearce is great at club level so I'm happy to see him in red and blue. Walked past this the other day. Not sure when it went up but it must have been relatively recently. That's right he's back isn't he. Minus Cronk and Thurston of course. Bennet now loves Golden Point. Fpot, chill with the state of origin stuff. I wiuld have been happy to see a 7 - 7 score after that game. The broncos looked better for most of that game and deserved to win though. Nikorima probably won't be the long term half back unless he picks his act up. He was pretty bad last night as far as being the controlling half for the broncos, milford was doing a better job when he got involved. refs have admitted they f***ed it up. I think that is piss weak of them to do that, the markers were standing next to each other regardless. There have been far bigger f*** ups with reffing and the refs come out and stick to their guns. Permission to talk about Origin? i give up on this season. Cam Smith is retiring from rep football effective immediately, apparently. A true legend of the game and a certainty for future immortal status. On the other hand, yay. Plus that means I was at his last ever game. Hopefully Gaigai and Hunt can be injured as well. wondering at what froth level fpot is this year round. If nsw cant win this year, they should retire from SOO and we'll play against tasmania or western australia or ireland. Qld can always play against the Samoans. The froth has froth right now. Honestly really great to see NSW win so convincingly but the same f*****g thing happened last year so f*** thinking too much of it. However I feel NSW seemed nervous at the beginning as favourites often do. Securing the win should give them free reign to win the second game but again I thought the same f*****g thing last year. It was a good game. The absence of grubby players made for a clean attritional match with the occasional streak of brilliance which is what Origin should be. A well worn talking point but the absence of Smith, Thurston, Cronk and Slater was so f*****g noticeable. Slater should be back for the second match but the brains of the Queensland dynasty are gone. Only controversial moment to me was when the NSW dropout was reversed to a 20m tap. Seemed the ball was clearly propelled out of bounds by NSW. I forget what the score was at the time but from memory it was a pivotal moment. Glad to see the crowd was big. Reports of lacklustre ticket sales scare me because I'm an unabashed fanboi of Origin and would hate to see it die just because QLD were great and NSW were s*** for so long. A NSW series victory would go a long way in regards to the longevity of Origin I reckon. Here's hoping it happens! there was a lot of free tickets in melbourne. still nearly 90,000. One or two shocker calls (dat forward pass lol) but NSW deserved to win. Too many line breaks and easy metres by their backs, we had some stand out individual performances in defence but as a defensive unit overall not good enough to deserve the win. Backs need to work hard on that for game 2. Best origin game in ages, really entertaining and a great competition. There will be a few changes to the qld side for game 2, gillett should be back before game 2, they may put matt scott back in even though he was suspended they were apparently not going to pick him but i think that experiment didn't work out. They need some more experience in the forwards they are all young. I'd like to see ponga in the team somewhere tbh, he is single handedly keeping the knights in the game at the moment. In like 15 hours or so NSW will be State of Origin champions and I cannot wait. In a profound state of panic right now. Please let the Blues win. qld smashed the blues in defense all nite, but that still wasnt enough. Forward passes and double movements to win game 1, and a penalty try that would never be given in a regular match to win game 2 (although that was deffo a professional foul). Must be a blues dynasty with 2 games in a row. lol f*** off c*** Blues won fair and square. 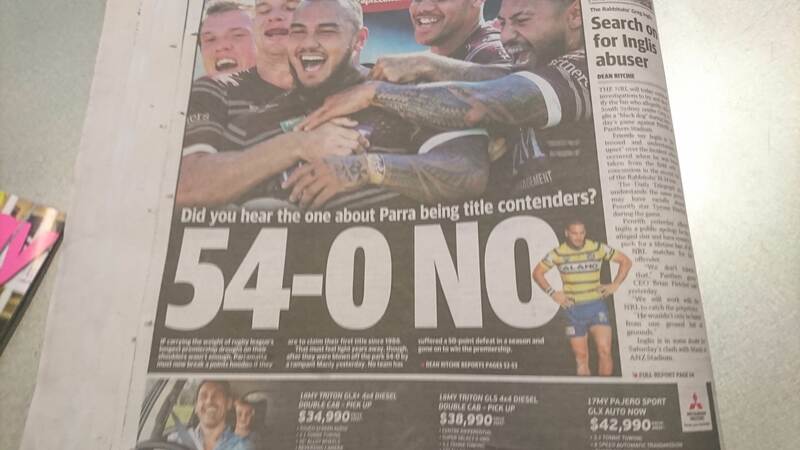 QLD couldn't score while NSW had 1 in the bin? They deserved to lose. Yeah agreed infi, some poor decision making when had the ball with the man advantage. Ben Hunt was pretty atrocious all night. QLD played didn't really play badly but couldn't get the win, deserved NSW win. I thought it was a good game to watch really! God I love the look of Ponga though, 20 years old, makes 26 tackles defending in the middle playing as lock, has made like 80 tackles in his NRL career before this game, looked exciting every time he got involved in attack, was great to see. That was a frustrating game, qld were better all night better than they were in game one. But ben hunt was s*** when they needed him to do basic s***. Nsw weren't carving up like game one, was damian cook even on the field? Tedesco was alright but no where near as potent. Was cleary even on the field? They had at least 2 cracks at their line when they were down to 12 men and ben hunt kicks it and gives them a 7 tackle reset. I hate blaming 1 guy because it happens all the time when it wasn't one guys fault but holy s***, how many times do the team need to get ben hunt down the opposition end so he can do his job? Yep, maybe. Dead rubber in game 3. Give DTE a go. I was at the game. Seems NSW were s***. Oh well series is ours.